The soccer reform of China has entered a historical stage on Monday as a detailed plan to adjust the sport's governing body was published to boost its management and status in future. 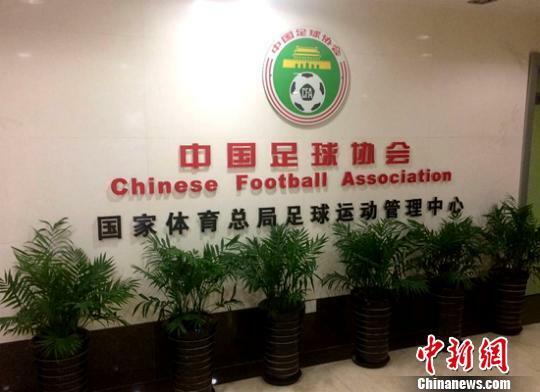 The plan, which focus on the adjustment and reform of Chinese Football Association (CFA), will remove the connections between CFA and the national sports department. It aims to give CFA the full independent rights including financial, personnel system and international communications. "It is a very big and influential step in system and mechanism to revive the Chinese soccer," said Liu Peng, Minister of Sports of China, in a meeting attended by all the CFA and sports officials on Monday. "As we announce the plan today, it marks the disconnection has started. Based on the plan, we believe it will give new vitality to CFA," Liu Peng added. The plan, described as a "dragon head part" by Cai Zhenhua, president of CFA, is an initial and key procedure to push forward the earlier issued overall reform plan of Chinese soccer. The overall plan, passed in February by China's central reform group, showed the determination to meet the needs of people to popularize the sport across the country and finally promote the level of national teams. "Revitalizing soccer is a must for building China into a sports powerhouse and also the earnest hope of the people," said the plan, named the overall plan of Chinese soccer reform and development. Goals are set in that plan which include the women's team returning to the world top class as a mid-term goal and the men's side joining the world leading powers in the long run. Bidding to host the World Cup is listed as a long-term goal, too. In contrast to its excellence in sports such as table tennis, badminton, diving, shooting, weightlifting and gymnastics, Chinese soccer has been bothered by the lackluster performance of the national sides. < The men's team, now ranked 79th worldwide, just qualified for one World Cup finals, in 2002. Meanwhile, the women's side is trying to recreate their glory as the 1999 World Cup runners-up and they got a boost recently with a last-eight finish in 2015 Canada World Cup. Though the gap is clear, since 2009, in the wake of a wide crackdown on corruption and match-fixing, Chinese soccer has been clawing its way back, witnessing league champion Guangzhou Evergrande clinch China's first ever Asian Champions League title in 2013 and the men's team reach the Asian Cup quarter-finals early this year. These are all good signs to revive the under-achieving sport and the two plans now further deliver the confidence. "Now, with more rights to have, CFA will of course have to bear more responsibilities. That means they will have more motive power in future," said Liu Peng, "We fully believe they can do it better."